The Australian population away from metropolitan areas has the same health care needs and deserves the same level of care (within available resources) as urban residents: we can and should provide it. This short talk aims to explore work in a non-tertiary centre ICU as a career option and why it’s worth considering. 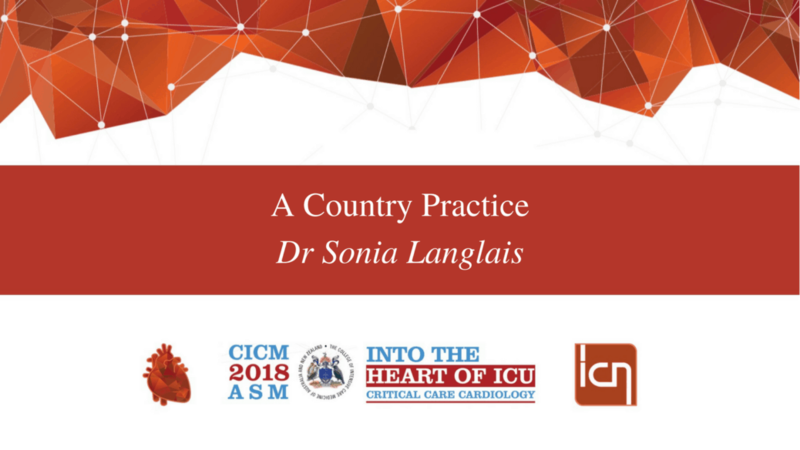 It will look at what life and work are really like in non-metropolitan areas and how and why working in a regional ICU can be a rewarding career. It will try and dispel some misconceptions as well as present some of the challenges (and how to overcome them) that arise while working outside capital cities. This is meant to be a light-hearted look at living and working in the bush or on the beach and an insight into a career path often overlooked by city-based trainees, not a hard-core recruitment drive or a critique of urban life/tertiary centre work. Come along with an open mind and have a look: you may discover a lifestyle and workplace you didn’t realise could suit you, for the short or longer term.